If you're planning a getaway to Cooper Landing and you don't really know a great deal about it, you don't need to worry — we can fill you in! You'll find it in Kenai Peninsula, 11 miles (18 kilometers) away from Kenai Lake. It won't be tricky to make new acquaintances in this corner of Kenai Peninsula. It's home to around approximately 300 locals. If you're planning a vacation in Cooper Landing, you'll want to listen up! You can save heaps by securing a Travelocity flight and accommodation package. Simply select from no less than 400 partner airlines and 665,000 lodging options. Way too many choices? We'll make it easy for you! Want a panic-free getaway experience? Our Customer 1st Guarantee offers the security of 24/7 personal assistance on our services. If you somehow chance upon a cheaper price on another website, we'll refund you the difference^. Modifications to packages don't incur any financial penalties from us. And as long as you get in fast, many accommodations won't charge you a fee either^. You'll need to book ahead if you want to stay close to Cooper Landing. 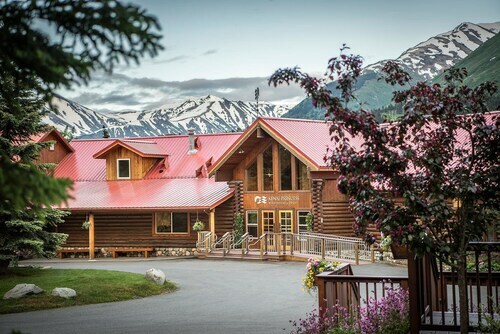 The Kenai Princess Lodge is the only listed property in the vicinity of of the center. Where do you fly into for Cooper Landing? Touching down at Ted Stevens Anchorage International Airport (ANC)? After you've stepped off the plane and claimed your belongings, the center of Cooper Landing will be only 50 miles (80 kilometers) from here. Can I rent a car in Cooper Landing? Forget buses, trains and overpriced cabs. If you plan to do some exploring in Cooper Landing, it'd be wise to secure some wheels via Travelocity. We make it so easy that you'll be fine-tuning the ultimate playlist in no time at all! Worrying about getting to your hotel from the terminal? Rent a vehicle right from the Seward Airport area. Look out for Hertz, one of the best outlets in the immediate vicinity. History has plenty to teach us. Drink in the knowledge and better acquaint yourself with days gone by at Cooper Landing Museum. Still need more options? Whether you decide to zip across it, goof around in it or glimpse what's below it, few things are as enticing as a day by the water. 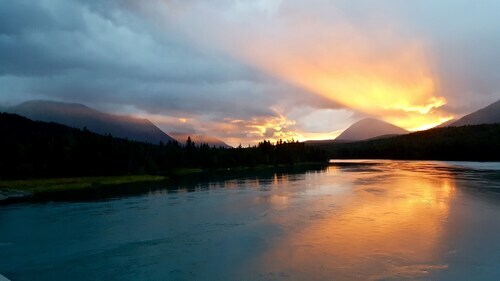 Add some wet and wonderful adventures to your journey at Alaskan Angling Adventures LLC. If you have explored the best of Cooper Landing with time to spare, don't fret! Just 30 miles (48 kilometers) away is Seward Boat Harbor, and there's so much here that you certainly won't be bored. Kenai Fjords National Park is a great place to start understanding the culture of this area. Alaska SeaLife Center and Mount Marathon shouldn't be missed either. If this doesn't appeal, try Seward. Just 30 miles (48 kilometers) away, this destination is home to other noteworthy attractions such as the Seward Museum, the Chugach Heritage Center and Caines Head State Recreation Area. Spend a day or two here to get around to all of them. 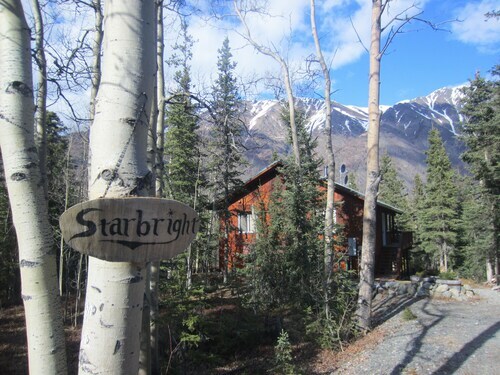 Situated in Cooper Landing, this motel is within a 10-minute walk of Chugach National Forest and Cooper Landing Museum. Kenai Lake is 0.6 mi (1 km) away. Situated in a rural location, this cabin is 0.1 mi (0.1 km) from Chugach National Forest and 2.5 mi (4 km) from Russian River Campground. Cooper Landing Museum and Kenai Lake are also within 6 mi (10 km). Situated in Cooper Landing, this lodge is 0.1 mi (0.1 km) from Chugach National Forest and within 3 mi (5 km) of Kenai Lake and Cooper Landing Museum. Russian River Campground and Tern Lake are also within 12 mi (20 km). 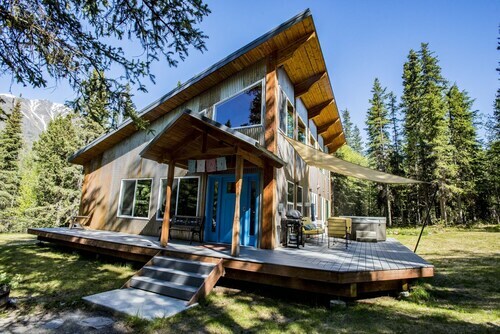 Situated in a rural location, this romantic vacation home is within a 15-minute walk of Chugach National Forest and Kenai Lake. Cooper Landing Museum and Tern Lake are also within 9 mi (15 km). Situated in Cooper Landing, this property is 0.1 mi (0.1 km) from Chugach National Forest and within 3 mi (5 km) of Kenai Lake and Cooper Landing Museum. Russian River Campground is 8.8 mi (14.2 km) away. 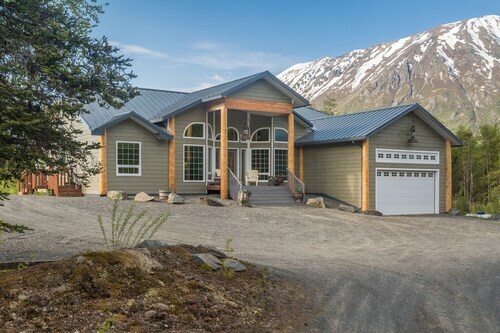 Situated in Cooper Landing, this romantic vacation home is within a 5-minute walk of Chugach National Forest and Kenai Lake. Cooper Landing Museum is 1.4 mi (2.3 km) away. 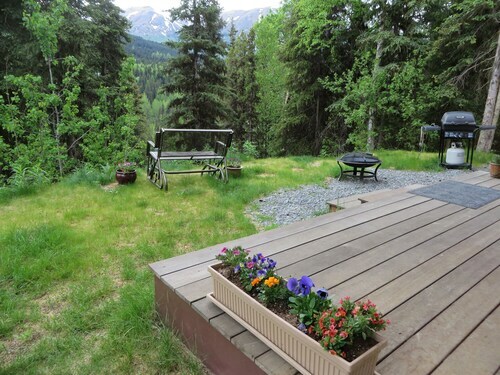 Situated in a rural location, this vacation home is steps from Chugach National Forest and Kenai Lake. Cooper Landing Museum is 1.6 mi (2.6 km) away. Nestled on the beach, this Cooper Landing vacation home is just steps from Chugach National Forest and Kenai Lake. Cooper Landing Museum is 1.7 mi (2.8 km) away.